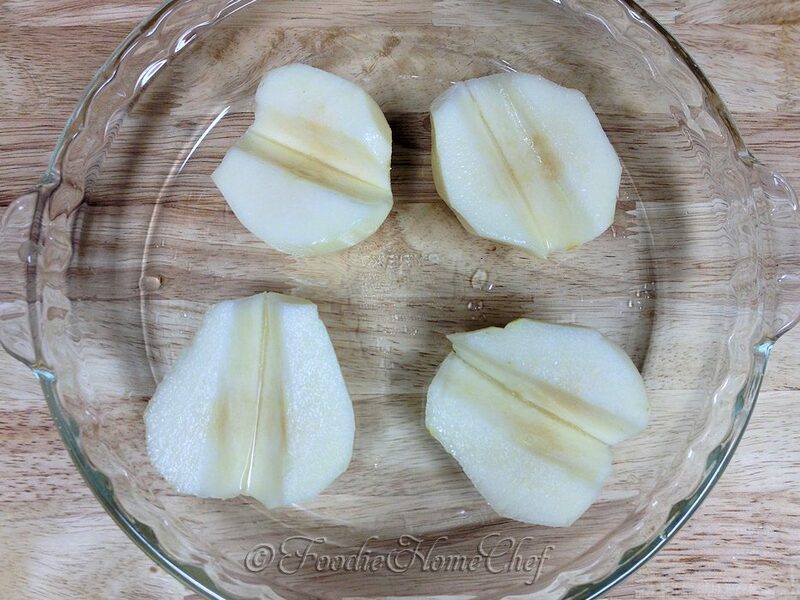 2 Cut pears in half lengthwise, peel & core. Place them in a glass pie plate or small shallow baking dish & drizzle with lemon juice. 3 Microwave on high for 3 to 4 minutes. You'll know they're done when they're soft & you see some liquid in the bottom of the plate. 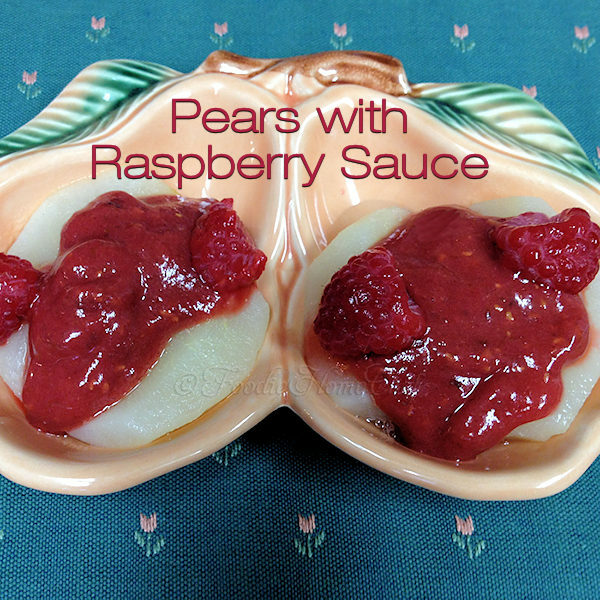 4 Using a slotted spoon; remove pears to your serving dishes, reserving the liquid. 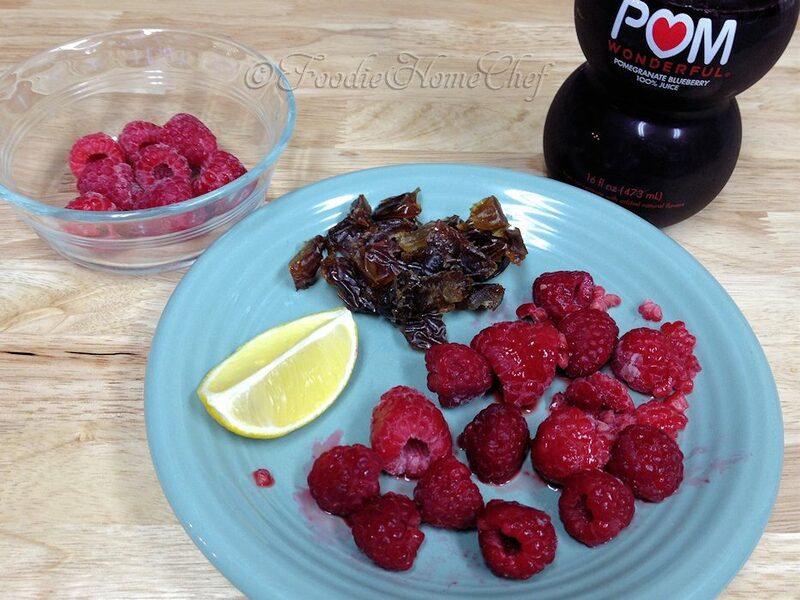 5 In a blender or bullet; add the 1/2 cup raspberries, dates, pomegranate/blueberry juice & all the liquid from the cooked pears. Blend until smooth. 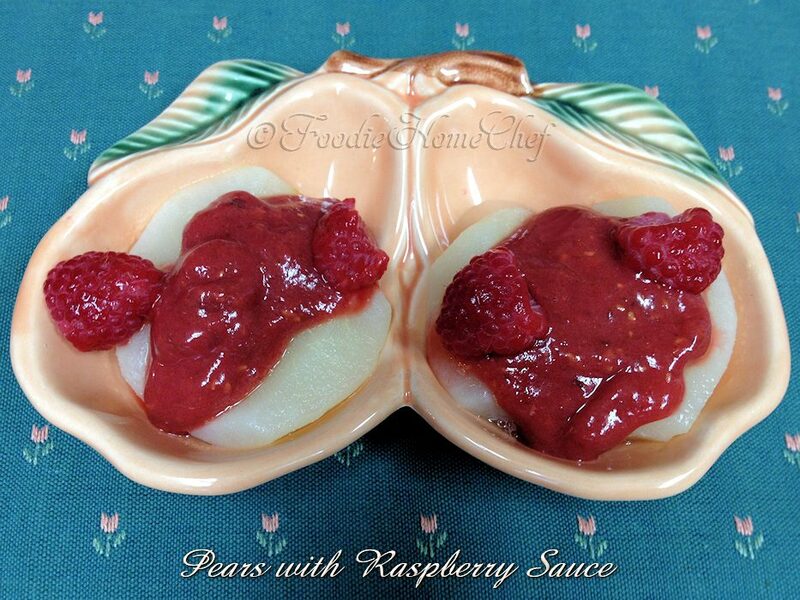 6 Top pears with raspberry sauce. 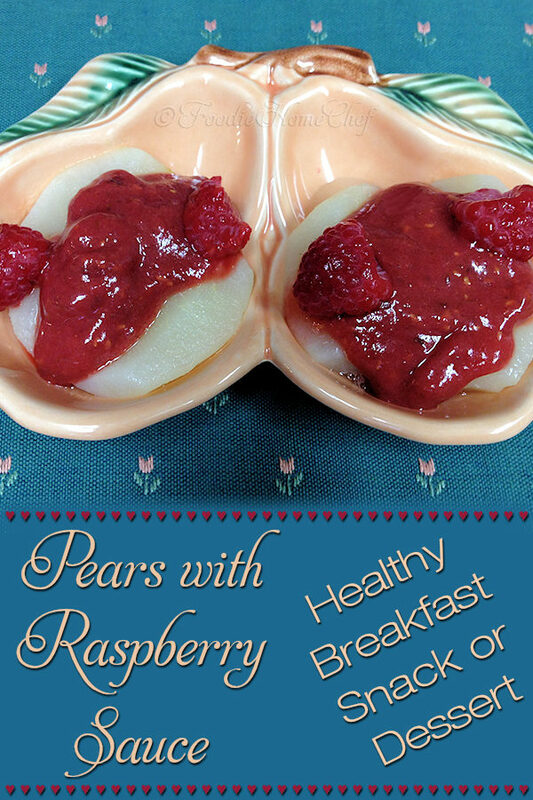 Garnish each pear half with 2 whole raspberries & serve immediately. 1 Medjool dates are larger than regular dates & have a magnificent creamy caramel taste to them. 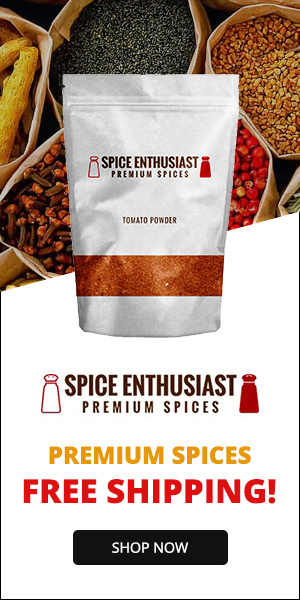 You can find them in the produce section of most larger supermarkets. Wow! am usually excited to try out new recipes, and this looks one that I can try out!, thanks for sharing. Yum this sounds so tasty! I’d love to try this! Thanks Eileen! 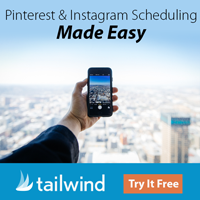 I hope you do try it & love it as much as we do! You had me at Rasberry! Then add in dates well, yummmmy…!! Oh yes thanks for noticing that Rebecca! I love using dates to sweeten things. It helps to cut down on the processed sugar & I think dates give it a better flavor! This recipe looks delicious! The color of the raspberry sauce is beautiful! Oh it IS delish Shirley, hope you’ll give it a try!